Willis Harold O’Brien was born on the 2nd of March, 1886 in Oakland, California. He took on a variety of jobs including working as a guide for palaeontologists; the role gave him an interest in dinosaurs which would inform much of his later work. 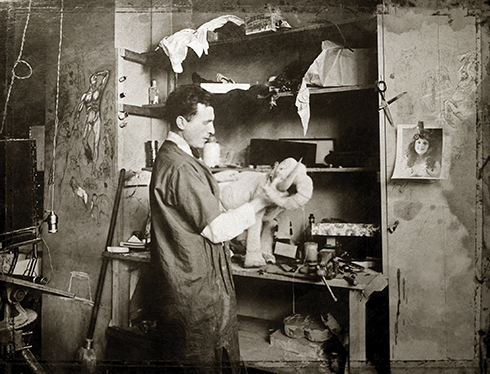 As assistant to the head architect of the 1915 San Francisco World’s Fair, O’Brien had some of his work exhibited at the event and was commissioned by a fellow exhibitor to create short animated film The Dinosaur and the Missing Link: A Tragedy (1915). 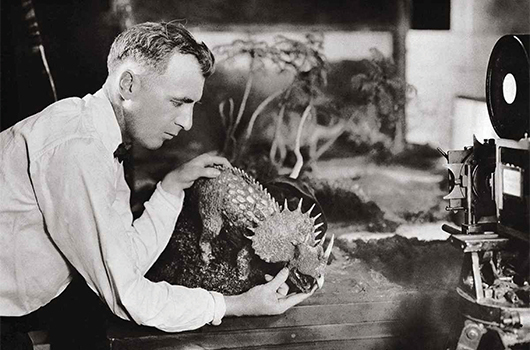 The success of O’Brien’s work led to a collaboration with Herbert M Dawley on The Ghost of Slumber Mountain (1918), the first movie to combine stop motion models with live action; further acclaim came with his animation for 1925’s The Lost World. 1925 also saw O’Brien’s marriage to Hazel Ruth Collette, with whom he had two sons, William and Willis Jr. Reports indicate that O’Brien was forced into the union, which had dissolved by 1930. 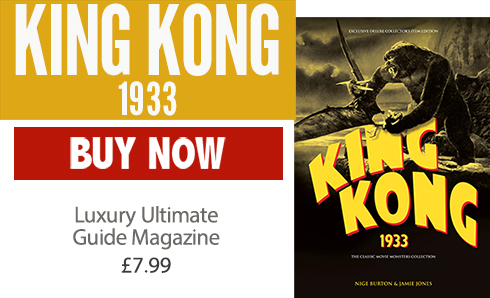 In 1932, O’Brien’s work on RKO’s cancelled epic Creation was transferred to Merian Cooper’s upcoming King Kong (1933). His innovative integration of live action and stop motion animation dazzled audiences and studio bosses alike, and broke new ground in the worlds of animation and special effects. The hurried sequel, Son of Kong (1933), had less of his input, but was still an effective showcase for the techniques he had pioneered. However, the triumphs of 1933 were overshadowed by deep personal tragedy. O’Brien’s ex-wife killed their two sons before making an attempt on her own life, ironically prolonging it by draining her tubercular lung. She died in 1934; O’Brien remarried the same year. O’Brien’s ongoing work with Cooper led to various projects taking shape; while many did not come to fruition, the Academy Award-winning Mighty Joe Young (1949) gave the animator the recognition he deserved. Mighty Joe Young was also a key step in the career of O’Brien’s protégé Ray Harryhausen. Willis “OBie” O’Brien died on the 8th of November, 1962.